“We should not be at the mercy of Chuck Grassley, Jeff Flake, Brett Kavanaugh this President or any man to screen our stories and evaluate their credibility before they are accepted as worthy of public consideration. I know I did not vote for this method of triage any more than I asked my high school friend’s younger brother to penetrate me with his fingers as a I slept in their parent’s home 21 years ago. Astonished and ashamed (because after all, I’d been drinking that evening and was wearing tight pants), I pretended not to wake up, and I never said a word about until I confided in my husband a year ago. Why didn’t I speak up? We’ve all tortured ourselves with this question. 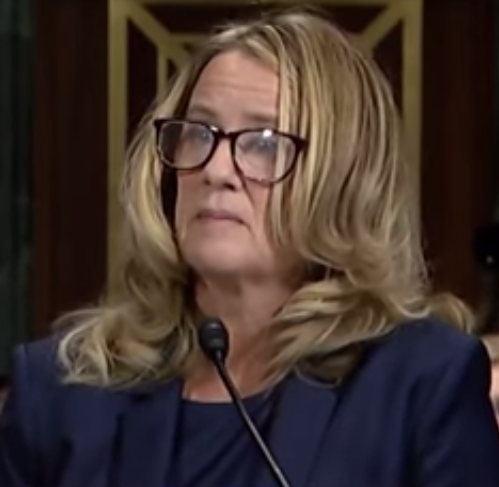 Dr. Christine Blasey Ford, an educated and accomplished woman, has been driven from her family home by collective male anger and the slurs and death threats that come with an interruption of the status quo. Brett Kavanaugh has said in open testimony that he will make us all pay for suggesting that his abuse of women is somehow disqualifying from the Supreme Court elevation that is his white, male destiny.